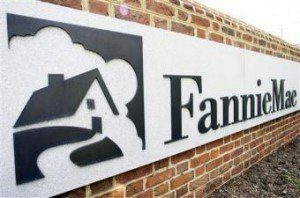 Fannie Mae released its second-quarter earnings Thursday, announcing $5.6 billion in net pre-tax income and $4.5 billion in comprehensive income for the quarter. This is an increase from a net income of $4.3 billion and comprehensive income of $3.9 billion in the first quarter of the year. With a total net worth of $7.5 billion, the GSE will pay a $4.5 billion dividend to the Treasury—the amount in excess of its required $3 billion capital reserve. Since its initial draw in 2008, Fannie Mae has received a total of $119.8 billion from the Treasury. It has paid $167.3 billion in dividends into the Treasury. Fannie Mae contributed $111 billion in liquidity to the single-family mortgage market during the second quarter of the year, financing 298,000 home purchases and 179,000 home refinancings. Fannie Mae estimated it contributed to 36 percent of all new single-family mortgage-related securities issued in the second quarter. The GSE contributed $14.5 billion in liquidity to the multifamily market, providing financing for 188,000 multifamily housing units. More than 90 percent of those housing units were affordable to households earning 120 percent or less of their area median income. It also continues to engage actively in credit risk transfers for its new loans. In total, Fannie has transferred part of the risk for $1.4 trillion in single-family mortgage loans. It also transferred part of the risk on all of its new multifamily loans in the second quarter. After increasing somewhat in late 2017, following destructive hurricanes, the serious delinquency rate for Fannie Mae mortgage loans has reversed course and is on the decline again. The serious delinquency rate for single-family mortgage loans fell from 1.24 percent at the end of 2017 to 0.97 percent in the second quarter. The multifamily delinquency rate declined slightly from 0.11 percent to 0.10 percent. “The company expects its single-family serious delinquency rate to continue to decline, but at a more modest pace than in the past several years, and to experience period-to-period fluctuations,” Fannie Mae stated in its second-quarter earnings statement. Previous: Do Regulatory Changes Mean More Compliance Expenses?